Aous valley, most notably Illyris proper. ^ Illyría and Illyrís respectively ^ Polybius. Histories, 1.13.1[permanent dead link]. ^ Lewis, Charlton T.; Short, Charles. "Illyria". A Latin Dictionary. ^ Boardman 1982, p. 623. ^ Grimal & Maxwell-Hyslop 1996, p. 230. ^ Grimal & Maxwell-Hyslop 1996, p. 168 ^ a b Wilks 1969, p. 5. ^ a b c d Wilks 1969, p. 161. ^ a b Radoslav Katicic (1 January 1976). Ancient Languages of the Balkans. Walter de Gruyter. pp. 158–. ISBN 978-3-11-156887-4. ^ Marjeta Šašel Kos (2005). Appian and Illyricum. Narodni Muzej Slovenije. p. 231. ISBN 978-961-6169-36-3. ^ Stipčević 2002, pp. 46–47. ^ Wilkes 1995, p. 298. ^ Lewis & Boardman 1994, p. 785. ^ Wilkes 1969, p. 13. ^ Kipfer 2000, p. 251. ^ Hammond 1993, p. 104. ^ Papazoglu 1978, p. 216. ^ Wilkes 1995, p. 237. ^ Wilkes 1995, p. 127. ^ Wilkes 1995, p. 167. ^ Wilkes 1995, p. 216. ^ a b Lins 1910, "Illyria". ^ du Fresne 1746, p. 1. ^ "Henry VI, part 2: Entire Play". 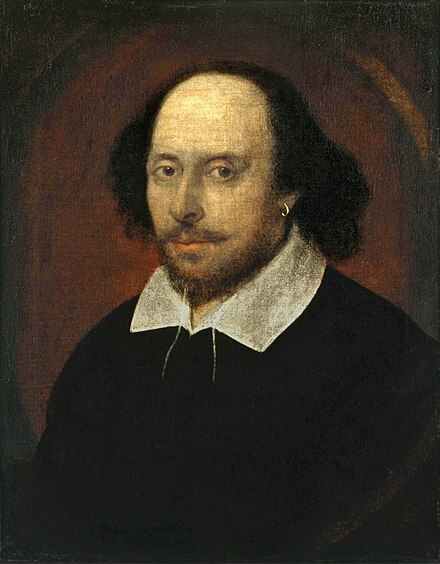 shakespeare.mit.edu. ^ Hawkes, John; Scholes, Robert (1972). "A Conversation on "The Blood Oranges" between John Hawkes and Robert Scholes". NOVEL: A Forum on Fiction. 5 (3): 203–204, 197–207. doi:10.2307/1345277. JSTOR 1345277. Epirus and Macedonia before Alexander. Amsterdam, The Netherlands: Adolf M. Hakkert. Kipfer, Barbara Ann (2000). Encyclopedic Dictionary of Archaeology. New York, New York: Kluwer Academic/Plenum Publishers. ISBN 0-306-46158-7. Lewis, David Malcolm; Boardman, John (1994). The Cambridge Ancient History, Volume 6: The Fourth Century BC. Cambridge, United Kingdom: Cambridge University Press. ISBN 0-521-23348-8. Lins, Joseph (1910). "Illyria". The Catholic Encyclopedia, Volume 7. New York, New York: Robert Appleton Company. Papazoglu, Fanula (1978). The Central Balkan Tribes in Pre-Roman Times: Triballi, Autariatae, Dardanians, Scordisci and Moesians. Amsterdam, The Netherlands: Adolf M. Hakkert. ISBN 90-256-0793-4. Stipčević, Aleksandar (2002). Ilirët: Historia, Jeta, Kultura, Simbolet e Kultit. 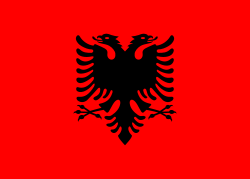 Tirana, Albania: Toena. ISBN 99927-1-609-6. Wilkes, John J. (1969). History of the Provinces of the Roman Empire. London, United Kingdom: Routledge and Kegan Paul. Wilkes, John J. (1995). The Illyrians. Oxford, United Kingdom: Blackwell Publishers Limited. ISBN 0-631-19807-5.